The Counseling Program at The Center for Youth and Family Solutions provides high-quality, affordable counseling services to people suffering from emotional and relationship difficulties. Our services are strengths-based and goal-driven. 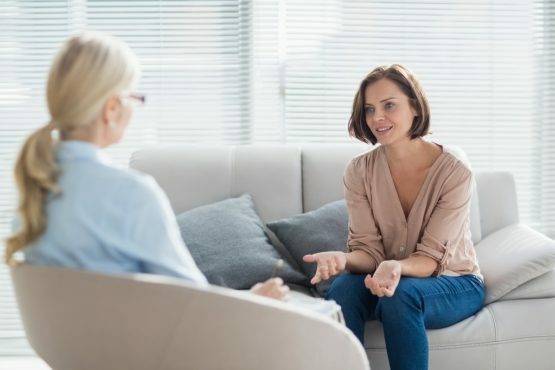 For each case, our therapists collaboratively evaluate clients to tailor realistic alternatives and achievable solutions to their unique situation. The goal for every client is to resolve their specific problem. Our services help keep couples and families together, prepare youth for academic success, help workers be productive and help individuals adjust to trauma. Nine out of ten former clients report that they were helped by counseling services. The program is guided by an eco-systemic philosophy that views client problems in the context of their relationships and larger social networks rather than in isolation. A defining characteristic of the systemic perspective is identifying and building on strengths that clients already possess and helping to connect them to resources that have previously been unavailable to them. Accessibility to services is a program priority. We strive to optimize access through outreach services, flexible hours, sensitivity to culture, and a sliding fee scale. Most importantly, we strive to treat all of our clients with dignity. The Center for Youth and Family Solutions’ Counseling Program provides community access to affordable, high-quality therapy services to empower and assist individuals, couples and families in resolving their concerns and relationship issues.